Hi All! ANOTHER GRAIL--> CHECK IT OUT! 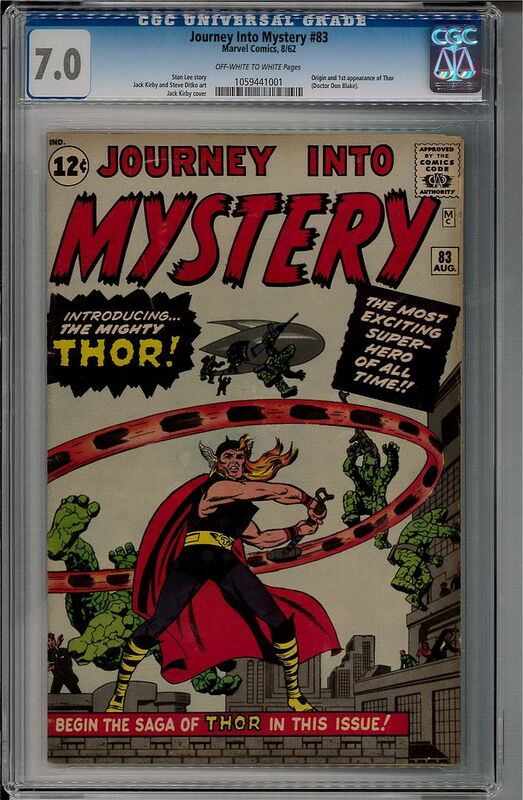 Up for grabs right here -- JOURNEY INTO MYSTERY #83, Origin and 1st appearance of Thor!! 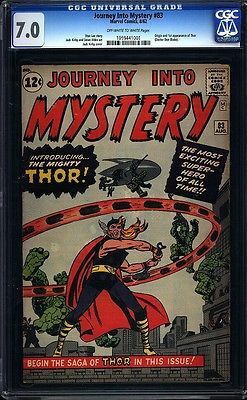 This book is CGC graded as 7.0 (FINE / VERY FINE) with a Universal label, meaning the book is 100% unrestored and authentic. It also has a nearly perfect off-white to white pages designation! Shipping, Bulletproof Packaging and Full Insurance will ALL be included, and I'll send USPS priority which is 2-3 days typically anywhere in the US. International buyers, I shipped USPS Express International with insurance, and will charge actual cost (typically about $75. little less to the UK).